As you've already read - and if you haven't, shame upon thee - I've been obsessing over Sondra Radvanovsky's debut CD Verdi Arias. I'm telling you that this is a must-have for any opera lover who understands that truly authentic Verdi sopranos don't come along everyday ... Radvanovsky is as authentic as authentic gets. And get this - you could win a copy of her CD and more. All you have to do is check out the rules of engagement over at Delos Music's blog. Now, if you're as obsessed with sparkling water as I am - and let's face it, most singers are - this is going to make you flip your lid. The Newmans were going through bottles and bottles of the sparkly stuff each week and not only was it an added cost to our food budget, but it was also terrible for the environment - all of those plastic bottles ... yick. Not anymore. 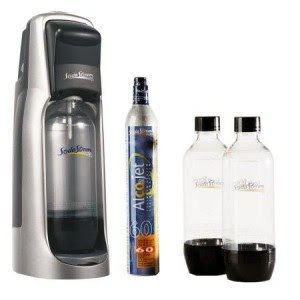 Last week, we bought this little gem: the Sodastream soda maker . Add filtered water to the bottles they provide you, attach bottle to the machine, give the handle a few pumps, and you've got yourself a liter of sparkling water... for about $.25 a liter. There are even mixes you can buy to make sodas. I kid you not - this thing is amazing! Yes, there is an initial investment, but your return on that investment is liters and liters of sparkly goodness. And finally Kitty-Cats ... My last obsession de la semaine comes from a very likely source's unlikely project. Although we admire Renée Fleming and have watched her career - following her forays into jazz (as on her 2005 CD Haunted Heart ) and film scores (Howard Shore’s “Lord of the Rings”) - I don't think any of us anticipated this career move. On Dark Hope , the soon to be released CD from Decca, La Diva Renée will apply her voice to songs by iconoclastic rock acts (Leonard Cohen, Peter Gabriel) and current indie-rockers (Arcade Fire, Death Cab for Cutie). When Fleming announced that she would be making this Indie Rock album, she drew all sorts of criticism and eye rolling from many of us in the opera community. Yours Truly can be included. That was ... until now. I'm not gonna lie to you - her first release off of the album, which is titled "Endlessly", is running on a continued loop on my iPod. Seriously. Who knew? You judge ... I know you do. 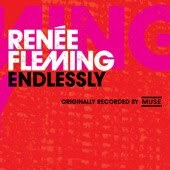 But, check out "Endlessly" and hear for yourself. I'm looking forward to the rest of the album being released on June 8th. Renee ... bring it.